We looked at the top 1 Zero Gravity Chairs and dug through the reviews from 6 of the most popular review sites including 5 Product Reviews, Jon's Guide, BestReviews, Best Product Reviews Center, Best Zero Gravity Chair HQ, Zero Gravity Chairs and more. Through this analysis, we've determined the best Zero Gravity Chair you should buy. In our analysis of 54 expert reviews, the Ollieroo Ollieroo Zero Gravity Chair placed 4th when we looked at the top 8 products in the category. For the full ranking, see below. 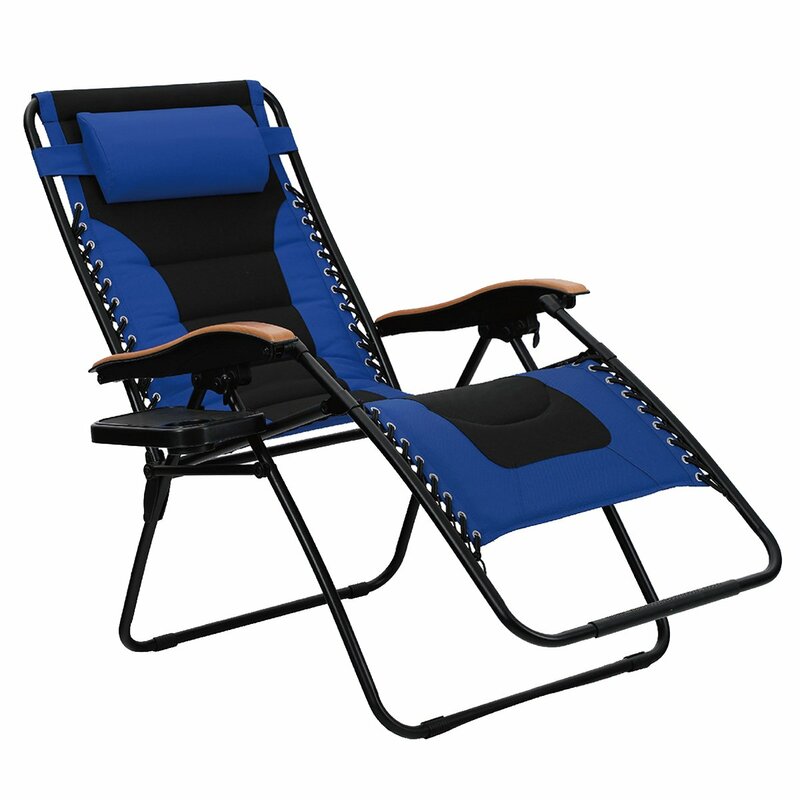 Checkout The Best Zero Gravity Chair for a detailed review of all the top zero gravity chairs. Comes with an ergonomic design: This makes the chair great for relaxing when reducing muscle tension and keeping you away from stress. Durable with UV resistant material that will last longer. Recline fully and enjoy zero gravity position with its smart dual fingertip locking mechanism that holds the chair in any position. Ollieroo chair comes with a dual fingertip locking system that makes it very easy to adjust and fix in the required position without having to get off it. The price is considered to be high by a number of buyers. People over 6’ will find their feet hanging slightly over the edge. Like all the other zero gravity chairs, these aren’t meant to sit in the outdoors all day every day. It will just rust if you don’t store it back in when you’re done for the day. Brand: Ollieroo Weight capacity 300lbs,comfortable,ergonomic design reduces muscle tension and stress. Dual finger tip locking system make it more safety to use, Better to enjoy the Zero Gravity Lounge Chair,Dual finger tip locking system make it to lock the chair fully in any position. Equipped with removable/adjustable padded headrests and made of UV-resistant mesh materials. Coming with Utility Tray providing perfect place to set a cup, plate or book, easily to install in seconds with no tools, made of durable plastic.PERFECT CUP HOLDER DESIGN - Coming with Utility Tray providing perfect place to set a cup, plate or book,easily to install in seconds with no tools,made of durable plastic. Ollieroo Designed for many settings such as camping,pool days, patio furniture and so much more; Also folding up for easy transportation and storage.